﻿ How to Grow Your Online Publication Using Facebook Lead Ads » Red Mango Marketing! If you’ve been following the news, you may have heard that many social media channels are changing to be more focused on private communications. Unfortunately, these changes also hinder the organic reach of small businesses and online publications alike. What this really means is that you need to re-focus your efforts and resources. It’s still important for you to be present on social media so people can find and interact with you. However, you need to be in the pay-to-play mindset to extend your reach, and to grow your publication. Now is the time to turn to social media ads and encourage your audience to join your email list. You own your email list and that means you don’t have to rely on algorithms. That also means you can communicate with your leads whenever you need to in order to accomplish your goals. With over 2.27 billion active monthly active users, Facebook still has the largest audience. So why use Facebook ads? Users check their page multiple times every day, it’s one of the most targeted forms of advertising, and it’s very cost-effective, to name a few. Plus, ads are guaranteed a place in your audience’s feed. Now, if you’ve ever spent time on Facebook trying to create an ad for your business, you may have found the process overwhelming — at least I have. This is where Facebook Lead Ads come into play. Lead ads help you reach a targeted audience in order to grow your subscription or membership base. The best part is that Facebook Lead Ads in Constant Contact, automatically sync to your account, allowing you to target them with specific messaging via email. You can send email content to convert people into actual, paying members for your publication. When you first choose to create a Facebook Lead Ad through Constant Contact, you’ll need to customize the form that your new leads will fill out. At the very least, you’ll want to ask for their email address and name. You can also choose to add in custom questions that relate to your business. Just remember to keep your form as short as possible. The more information you ask for, the less likely they are to complete the form and join your email list. You can always ask for more information later on. Next up, you’ve got to design the ad in order to catch your audience’s attention. You need to add the details that will entice them to sign up to your mailing list. If you’re already using email marketing to communicate with your members, review your most successful emails. This information is insightful because you can look at the types of content and visuals that made some emails more successful than others. Use that information to create an ad that encourages people to join your list. Your online publication already provides a variety of helpful information, so make sure your ad focuses on your membership benefits. Now it’s time to add a visual element to your ad. You can choose an image, a series of images, or a video that’s relatable to your current and potential members. One of the most important rules with visuals is to make sure that it’s relevant to your topic and body copy. It simply needs to support your message and draw people in. Don’t wait to think about your visuals until the end, right as you’re publishing your ad. You don’t want to be in a last-minute scramble to try to find the right image for your message. Plan this out ahead of time so you can capture or locate the right visual for your ad. It’s also important to spend time thinking about a compelling headline and body copy that will catch their attention. Again, your copy should go back to who you’re targeting. You’ll want to write different ads for different groups of people to be the most effective. If we go back and think about the legal publication example, you may have people who are interested in and support different kinds of law, so make sure you have the right message in your ads for each. Let them know your publication is the right fit by providing a glimpse of the type of information they want to read about. The next important element of your ad is the call-to-action. Your body copy will entice your audience to want to take action. So you have to think about what it is you want them to do. Remember, you’re trying to get them to sign up to your email list, so you’ll have a variety of calls to action to choose from. As an online publication, your call-to-action could be to “download” a guide or resource, to “Learn More,” “Sign Up,” or simply “Subscribe.” Just think about your goals and what you might be offering to entice people to sign up. The next step in creating a Facebook Lead Ad is to choose your targeting. As with any marketing campaign, targeting is of utmost importance and is one of the biggest benefits of running a Facebook ad. Start by customizing your audience using demographics, location, interests, and behaviors. Don’t limit yourself to just demographic-based targeting, get specific. These simple characteristics are a start but they aren’t likely to get you qualified subscribers for your publication. Don’t waste your time creating an ad for millions of unqualified people to see. Now, you’ll want to dive into choose targeting for interests and behaviors. Choose what you’ll want to include and exclude from your audience. Think about your existing audience and their existing job titles, interests, industries, spending habits, etc. It’s also important to think about those people you don’t have success with. Those are the types of people you want to exclude. For example, if you’re a legal publication and have had trouble connecting with lawyers and owners of the firms, you’ll want to exclude them and possibly try to target legal assistants instead to get your foot in the door. For the location, just think about the reach of your publication. If your publication is nationwide, you can choose the country or even multiple countries around the world. The ads manager won’t let you continue if your audience isn’t large enough. A targeted, custom audience for your ad is the starting point. However, if your publication has a nationwide reach, you might consider adding another layer of targeting with a Facebook lookalike audience. By creating a lookalike audience, you’ll be able to identify common qualities of people who are already in your subscriber base. Then, Facebook will create a list of users to target that resemble your existing members; increasing the chances of them subscribing. The next step is to set your budget and determine how long you want your ad to run. Choose a total for how much you are able to spend on your ad. Based on your input, you’ll see an estimate for how many people you’ll reach per day. Just keep in mind, you won’t be able to adjust your budget once you publish your ad. In the ad creation process, you’ll need to choose from 7, 14, or 28 days for your ad to run. You’ll get an updated cost per day. The longer it runs, you’ll have a better opportunity to get in front of more of the right people. Once you set up your payment information, you’ll publish your ad and it will start running. Once Facebook users have filled out the form for your ad, keep their attention and engage them right away. At the very least, you’ll want to use a welcome email that automatically sends immediately. Depending on your goal and the specifics of your online publication, you’ll want to provide more information that entices them to become a member or simply explain the benefits they’ll receive by being on your email list and receiving your publication. Another option is to create an automated series of emails that are triggered after signup. With this option, you might provide a sneak peek of the content they’d get by becoming a member or fully subscribing to your publication. You have a lot of options. The most important thing is to use email marketing automation tools to follow-up and engage your leads right away. You don’t want them to sit stagnant in your database, they’ll either forget about you or find another publication that fits their needs in the meantime. Get started with Facebook Lead Ads today! Facebook Lead Ads are a valuable tool to grow your business or organization. You’ll be able to reach your target audience in ways that aren’t possible through organic social reach. When you follow these tips to create a Facebook ad for your online publication, you’ll be able to reach the right people with the right information, at the right time to get results! 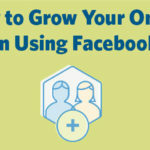 The post How to Grow Your Online Publication Using Facebook Lead Ads appeared first on Constant Contact Blogs. This entry was posted on Tuesday, March 26th, 2019 at 10:20 am	and is filed under News & Updates, Social Media Marketing. You can follow any responses to this entry through the RSS 2.0 feed. Both comments and pings are currently closed.